In addition to the NYPD and the great collection of civic buildings at Foley Square, there are many symbols of law and order in the city. 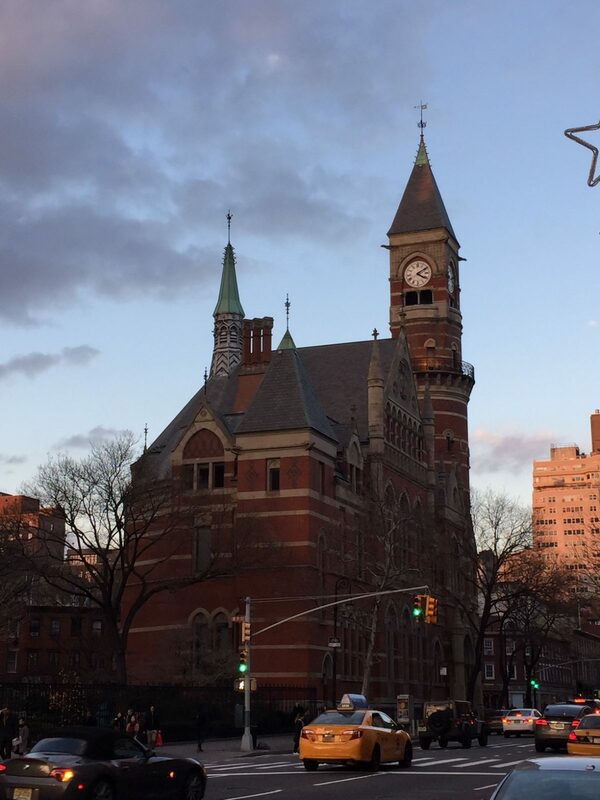 One of the prettiest is the ornate Jefferson Market Courthouse in Greenwich Village. Built in 1877 by Calvert Vaux, who designed the structures in Central Park and Prospect Park, the Jefferson Market Courthouse was built on the former site of a fire watchtower for the city. 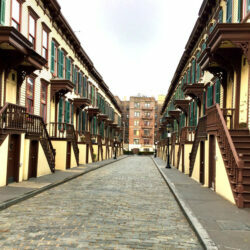 Between 1877 and 1945, this court was the location of the courthouse for the Third District of New York. Being located near Union Square, then the vice district of the city, the court tried cases in the infamous “Tenderloin” district of the city. Prominent trials such as the infamous “Trial of the Century” and the obscenity trial of Mae West in 1927 were among two of the most important cases heard before judges before its closure as a courthouse. Through adaptive reuse (and the fact it was city property), the city rehabilitated the building into the Jefferson Market Library in 1967, the local branch of the New York Public Library for Greenwich Village. This building is the starting point of my “Around the Villages” tour and one of the highlights of any visit to New York. You can learn even more about this building by taking this tour.